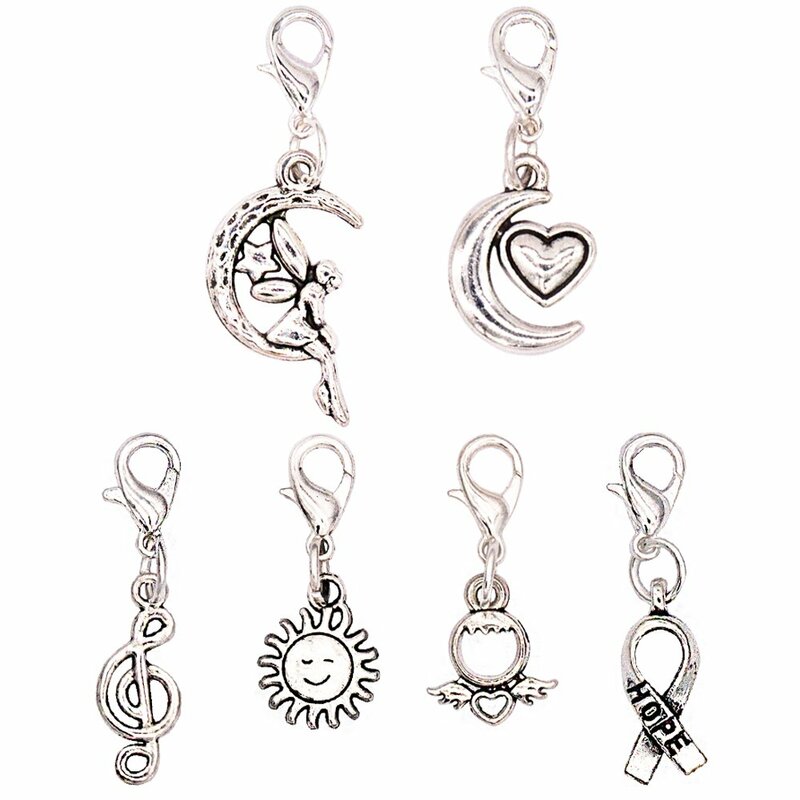 Attribute：one set contains 120 pieces of knitting stitch markers, made of plastic and measure 7/8 inch long and 1/2 inch wide, 12 colors in total. 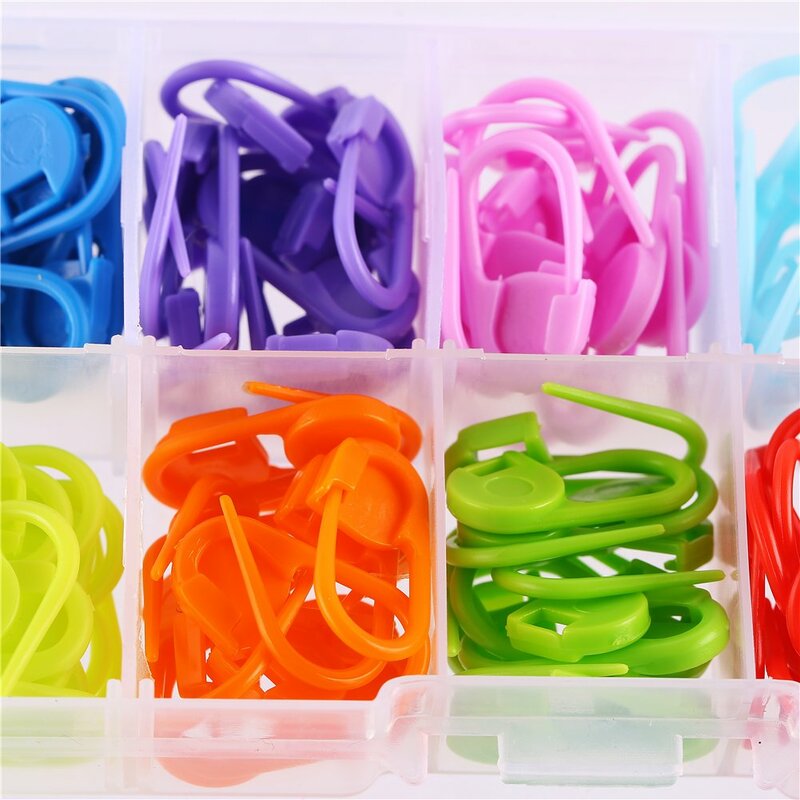 Feature: the crochet stitch locking counters are lightweight and study, can ensure long-time and multi-time use; with great flexibility, these knitting needle clips are easy to open and close. 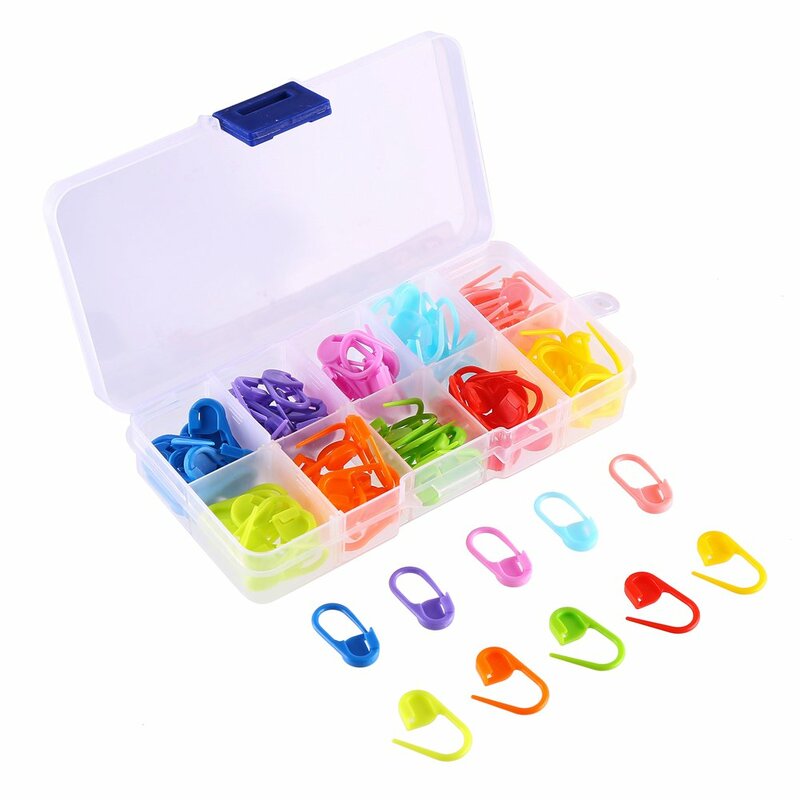 Convenience: for better using experience, all these crochet stitch markers are packed in an plastic box with ten compartments, all markers are stored individually in accordance with their color, keep them tidy and neat, providing great convenience for use! 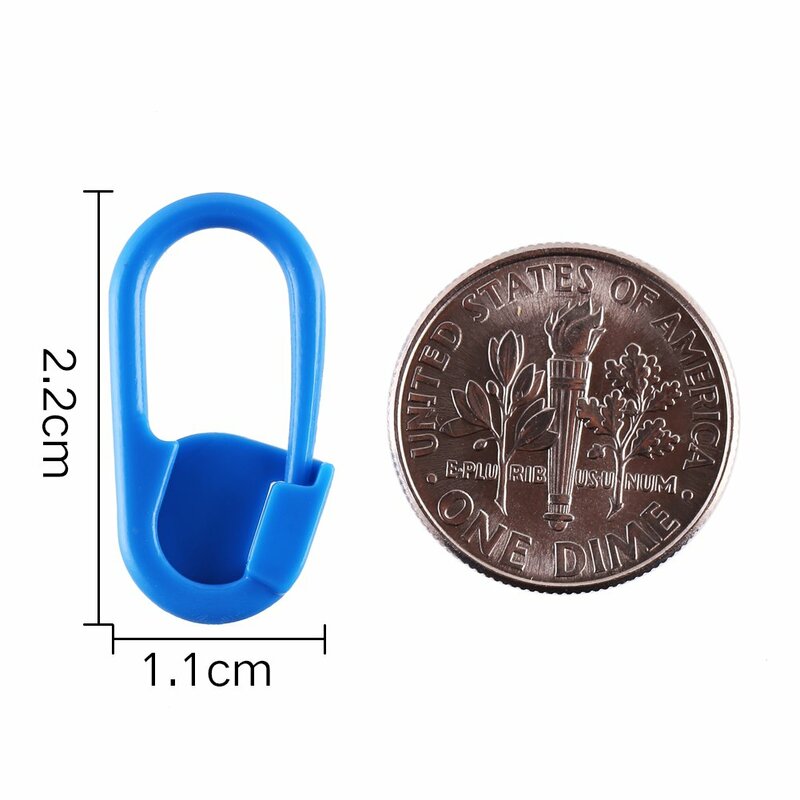 Safe and Security: these crochet stitch markers are made with fine workmanship, smooth and no pointy edges, will hardly snag your yarn or works, keep locking on your knitting works securely. 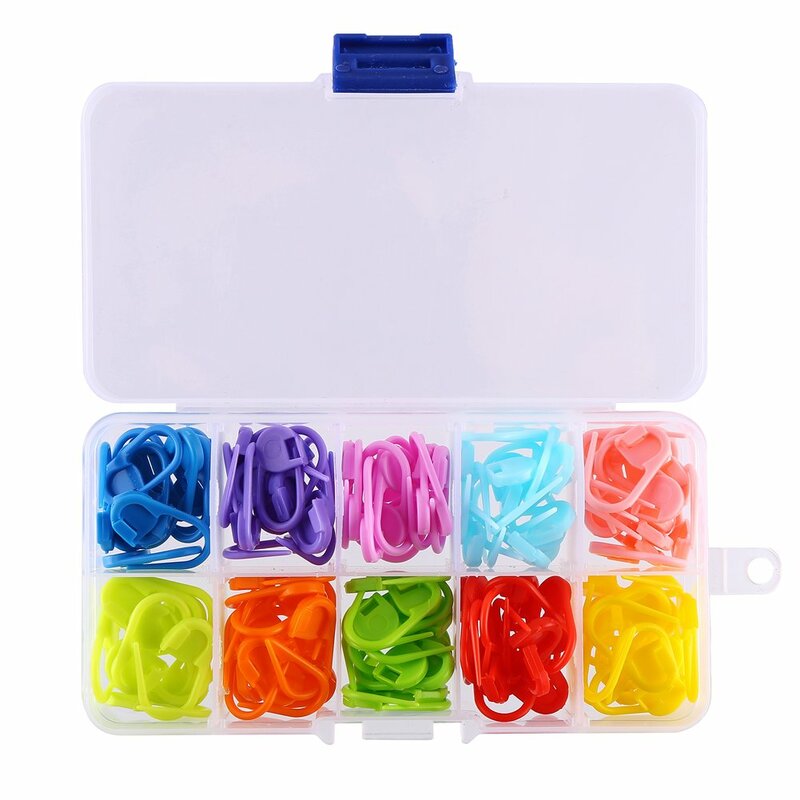 Wide Application: this set of crochet stitch counters is a supplementary kit for your DIY knitting and crocheting projects, definitely ensure you better experience and great convenience. wish they had different sizes in this set... I didn't realize they were all the same. I've just started knitting and trying to keep the expense down for a first timer. Love the different colors, which is so helpful depending on which color yarn you're using. The sturdy little case is a benefit, too! Excellent product. 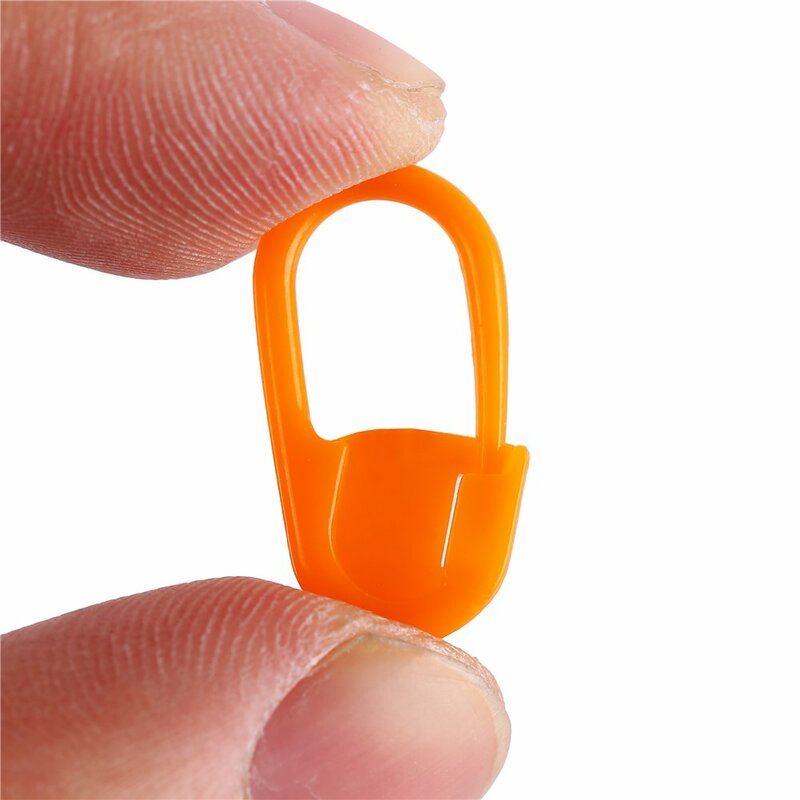 Sturdy plastic that holds up for multiple time use. Will definitely recommend to all my crafting friends. 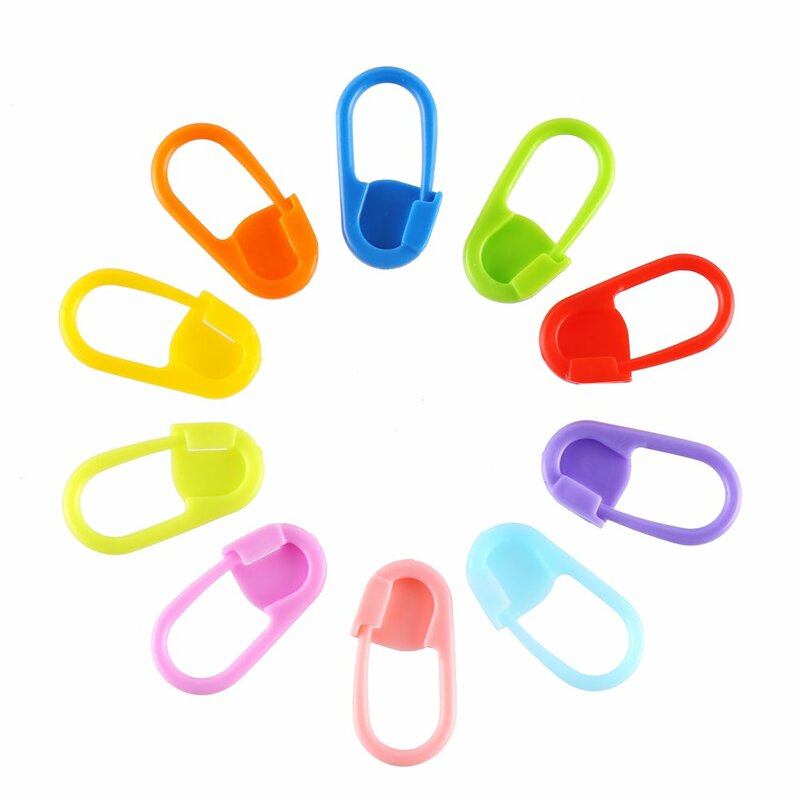 These are a great little bunch of clip for my crotchet projects and I love the fact they come in the locking container.